Our Christening Note Cards feature a fancy flourish highlighting the cross and jewel embellishment. 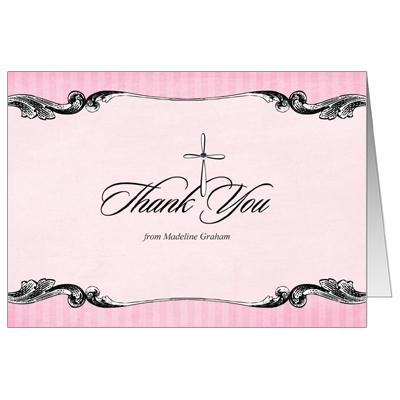 Send them to your guests as a formal thank you for celebrating your child's Christening. Assembly is required.